Just to start off on the subject of methadone, Drug Rehab Institute do not condone its usage. 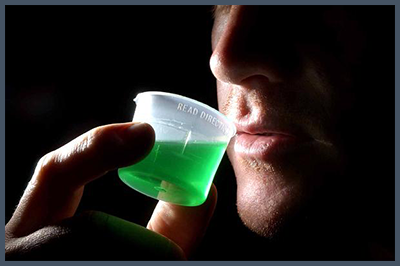 Methadone is a synthetic opiate, and is usually prescribed to opiate addicts to help control their addiction. It works by suppressing the addict’s withdrawal and cravings for about 24 hours per dose. Users of methadone are physically dependent on it just the same as they were to heroin or whatever other type of opiate they were taking. Methadone is a substitute, one drug for another; it is not a cure for addiction. Methadone is an opiate substitution treatment such as codeine, morphine or other but also heroin. Before taking the decision to follow a methadone program, it is important to consult a doctor about the positive and negative effects of such treatment. It is important to know if you should so to avoid despair if a failure occurred due to a lack of information about it. Dryness of the mouth and general weakness. Methadone is generally prescribed by a methadone clinic, and the addict will remain on the drug for months, years or decades. Methadone addiction is a serious problem; many users cannot distinguish between methadone and heroin. The detox from methadone is horrendous; many heroin and methadone users say that methadone withdrawal is like heroin withdrawal times 10!! Methadone was initially meant to be a 20 day withdrawal drug used to assist the individual through the heroin withdrawal process, now it continues far beyond this 20 day mark mainly for the financial gain from companies who produce it and the companies that distribute it. It is very important not to mix alcohol or benzodiazepines (tranquilizers, sleeping pills, sedatives and hypnotics) with methadone because it has an antidepressant, anxiolytic (against anxiety) and sedative. This can be very dangerous because the risk of violent acting out, confusion, coma and death by overdose.